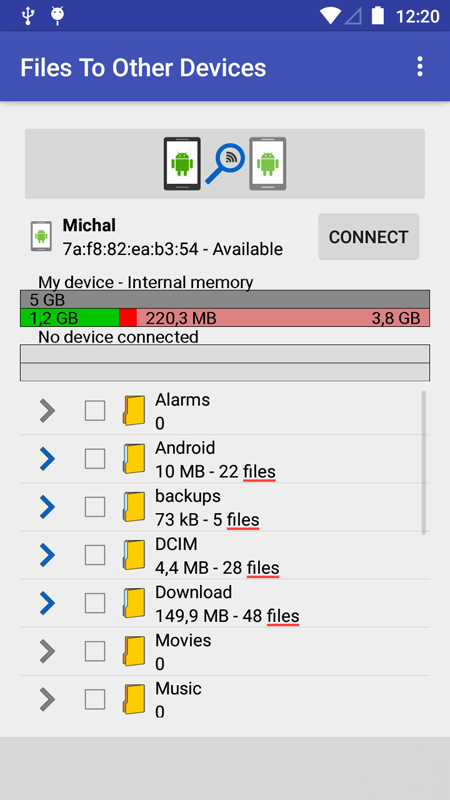 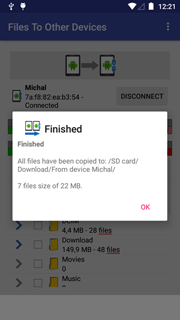 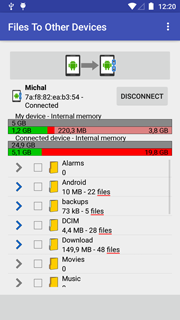 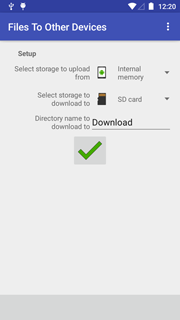 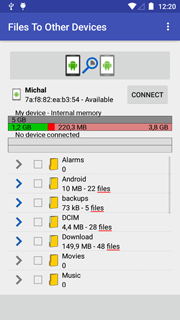 This application Files To Other Devices is a one click fast solution to copy your files from internal memory or SD card to another device via Wi-Fi. 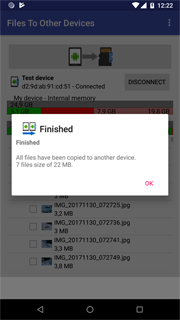 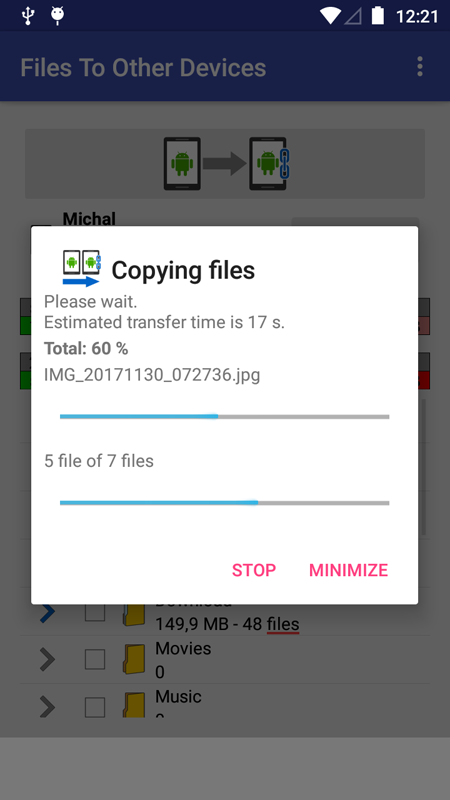 Copy your photos, videos and other downloads to another device. Without wires and much work fast and easy. This app Files To Other Devices is useful for fast, easy and secure copying of files to another device. There are many other similar apps but this one is simple and fast. 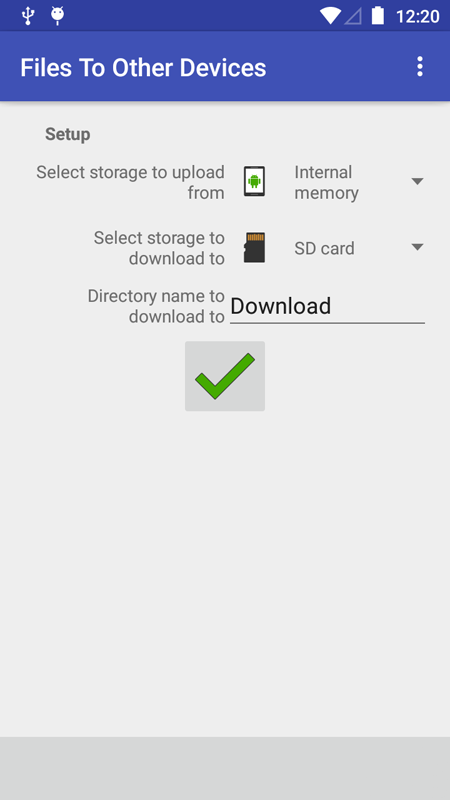 With first install and every restart of your device you have to allow access permission to SD card. 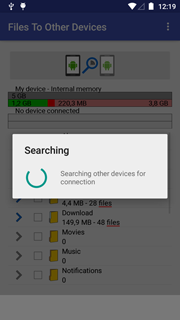 Why can't I connect two devices together? 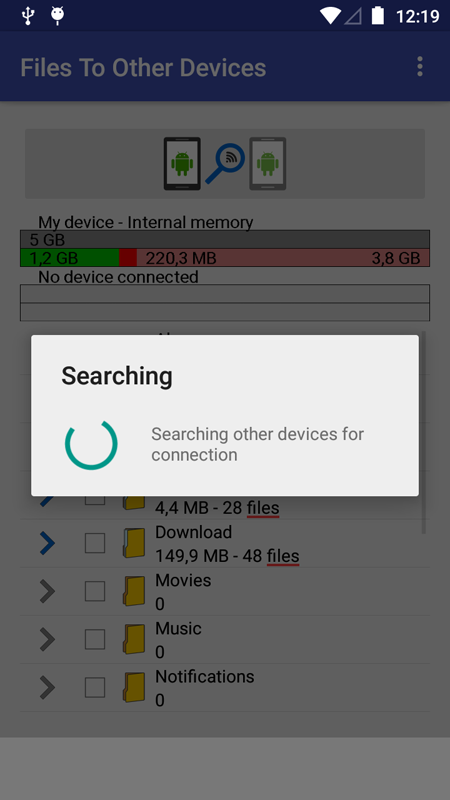 Both devices must be connected to the Internet via Wi-Fi and must be in the same network on the same router with the same SSID. 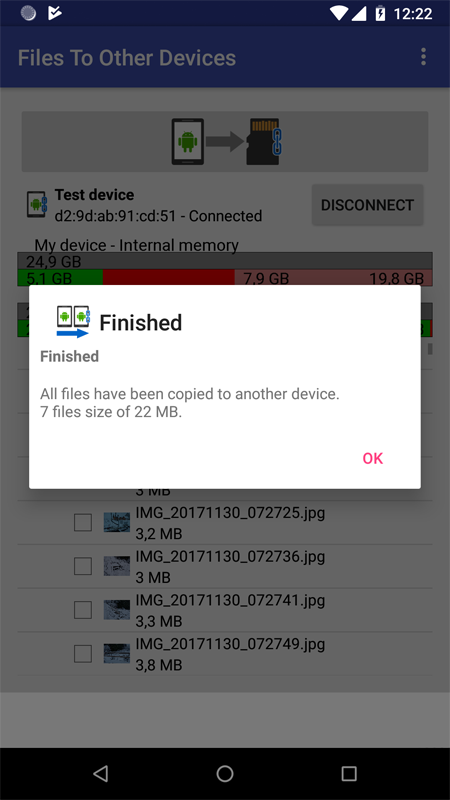 On devices with Android (8) Oreo and larger, permission must be enabled for positioning using an internet connection.